The Jesuit University of Central America Nicaragua received dire news earlier this month when the Nicaraguan Technical Secretariat of the National Council of Universities, the government office responsible for distributing funding to the country’s universities, announced it would reduce the UCA’s disbursement by more than 25%. 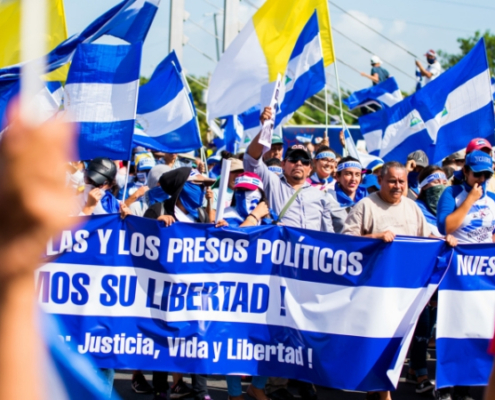 In the wake of ongoing unrest in Nicaragua, Seattle University has initiated efforts to support students at the Jesuits’ Universidad Centroamericana (UCA) de Nicaragua, where political and economic crisis and accompanying unrest has led to the suspension of academic and campus activities. 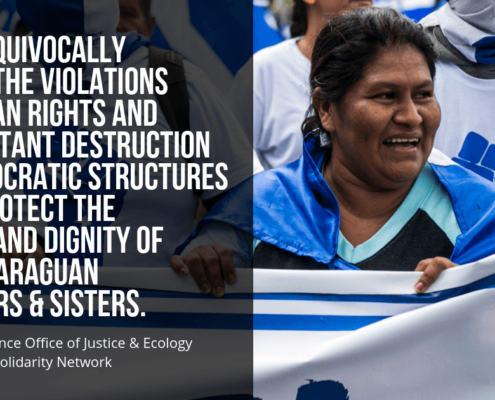 The Jesuit Conference Office of Justice and Ecology and the Ignatian Solidarity Network have issued a statement of continued solidarity with the people of Nicaragua on the six-month anniversary of nonviolent protests that led to the deaths toll of at least 300 civilians at the hands of police and government-sponsored paramilitary groups. The initial protests led to the deaths of more than two dozen people. Álvaro Manuel Conrado Davila, a 15-year-old student at Instituto Loyola, the Jesuit High School in Managua, Nicaragua, was among the victims killed while peacefully protesting on April 20.